Kimberly Derting doesn't just do it again, she does it bigger, better, scarier, and more intensely than before! The Last Echo was exhilarating and nerve-wracking, keeping you constantly on your toes and holding your breath. I adored The Body Finder, and really liked Desires of the Dead. I think The Last Echo was every bit as good as book 1. It had a different feel than The Body Finder, though. It was much creepier and darker. 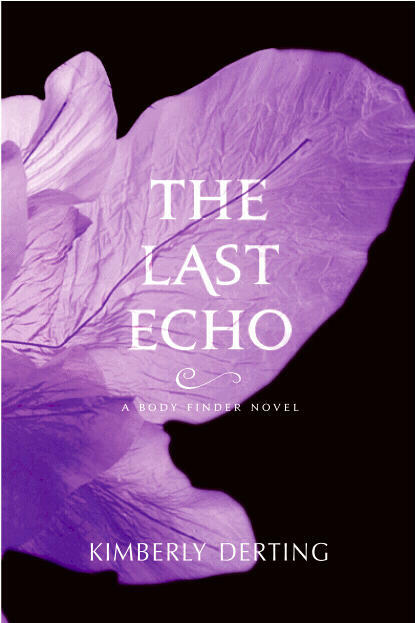 While I thought The Body Finder was mostly fun and light with some creepy thrown in there, The Last Echo was the opposite. I can't say that I liked one way more than the other, I just really enjoyed them both.